January | 2013 | What's Peeps Thinking About Now? It's Probably Random! Let’s Talk About A Real Snowstorm! After record-setting temperatures Tuesday, snow moved into Iowa and Illinois Tuesday night and Wednesday dropping anywhere from a couple of inches in the Quad Cities to around 8.5″ in Independence, Iowa, in Buchanan County, near Waterloo. For the most part, snowfall amounts across the Mississippi and Illinois Valleys were in the 1-7″ range. This is a big deal in a winter that has only seen the one decent snow right before Christmas, especially when you factor in the wind and the much colder temperatures. However, think back two years ago. Snow started falling on January 31, 2011, and by the time the storm departed February 2, 2011, the Quad Cities tied the record for a single snowstorm with the one from January 11-13, 1979 at 18.4″! Growing up in Kentucky, this was the most incredible thing I’ve ever seen. While we saw a few big snows down South, it was nothing like this. I never saw snows like this in my four years I lived in Chicago. 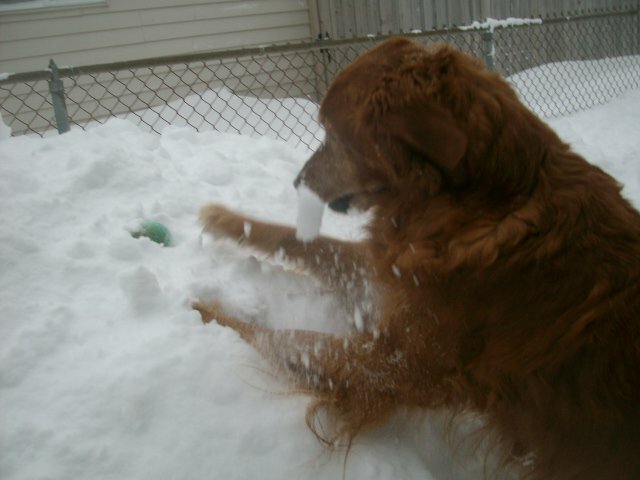 However, a few of the snows I saw in northeastern Ohio rivaled this. On the day of the big snow, Ray and I cleared the driveway several times that evening so I’d be able to get to work at 2 a.m. since I was still on the morning show. When it was time to leave for work, I backed out of the driveway and was only able to move a few feet since the street had not been plowed. I had to make the decision to risk driving to work and getting stuck or walking 1.8 miles to the station. 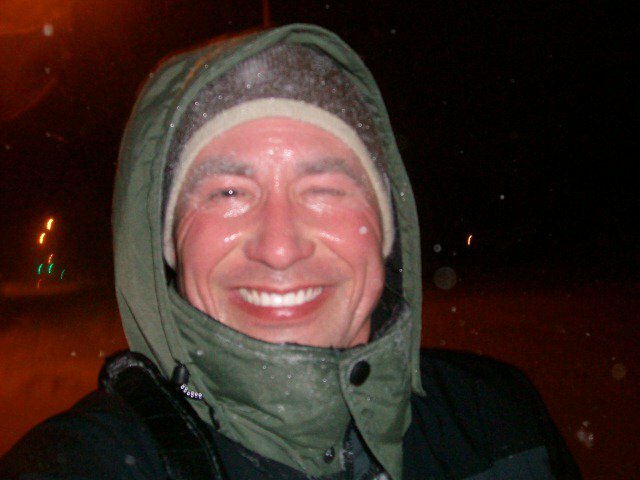 Like an idiot, I chose to walk in a blizzard at 2 a.m. in more than 18″ of snow. So, I called Charlie, my producer, and told him which route I was taking in case I wasn’t there in 30 minutes. This is me as I was walking to work. Insane! I made it to work and finished my shift and then I went home and cleared the snow out of the fenced-in back yard since we still had the blind shar-pei, Mr. Panda. 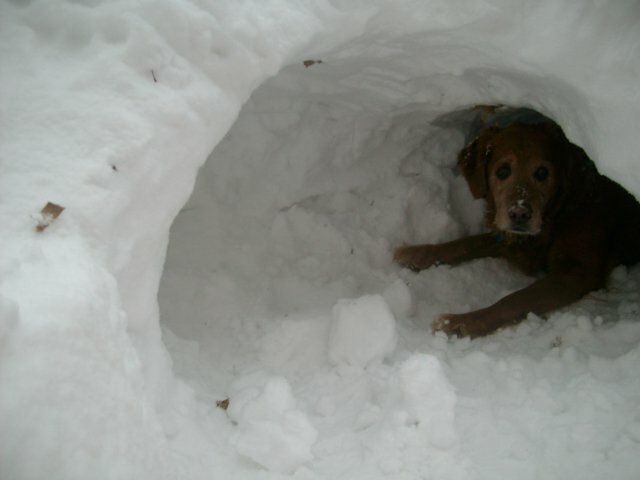 He hated the snow. But, as you can see, Miss ABBA was having blast in it! Days later, Gretel, and I took advantage of the snow by playing snow zombie attack and Ray helped us dig a tunnel, which ABBA loved. After that very snowy winter, last winter we only saw 16.9″ of snow. 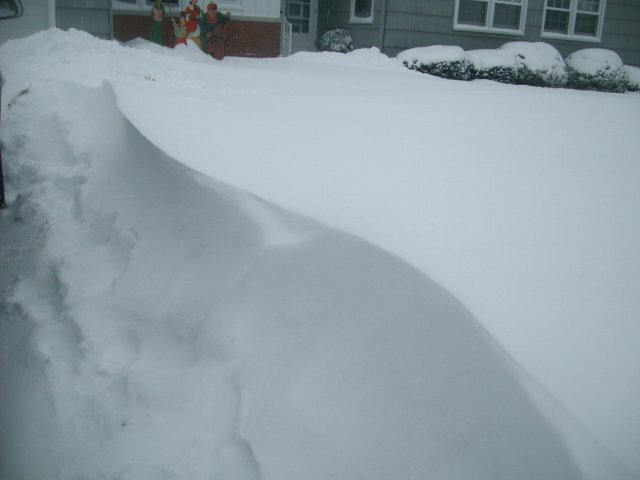 That’s about one-half of what we typically see in a winter (31.6″). Shockingly, the snow Wednesday only pushes our total this winter up to 9.6″ in Moline! It’s funny that even with the snow drought, people still complain that the little bit of snow we’ve gotten the past two winters is still too much! It’s hard to believe that it’s almost been a year since the world was shocked by the death of pop songstress Whitney Houston. On February 11, 2012, the 48-year-old singer was found dead in her room at the Beverly Hilton Hotel in Beverly Hills, California, one day before the Grammy Awards. The autopsy showed that she drowned in the bathtub and subsequent toxicology reports attribute that to heart disease due to chronic cocaine use. That is old news and heaven is now blessed with her angelic voice. 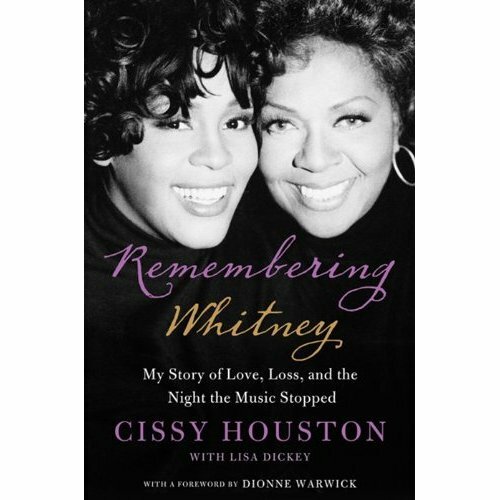 What disturbs me and prompted today’s blog is a revelation that Whitney’s mother, Cissy Houston, makes in her new book, “Remembering Whitney”, that was released yesterday. 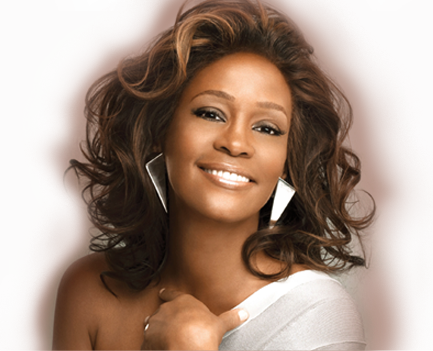 In the book, she talks about Whitney singing in the church choir, becoming a superstar, her struggles with fame, her turbulent marriage to singer Bobby Brown, and the drug use that ended her life. Anyone who was a fan of Whitney knew about all of that. What some people might not have known about were the gay rumors that dogged the pop star back in the late-1980s. 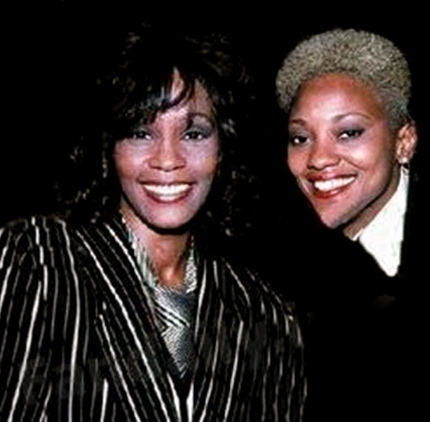 There was always gossip that Whitney’s relationship with her personal assistant, Robyn Crawford, was more intimate than just working together. Cissy went on to say that she would not have liked it at all. When I hear that, I try to be objective. Cissy Houston is 79-years-old and religion and gospel music play an integral role in her life. 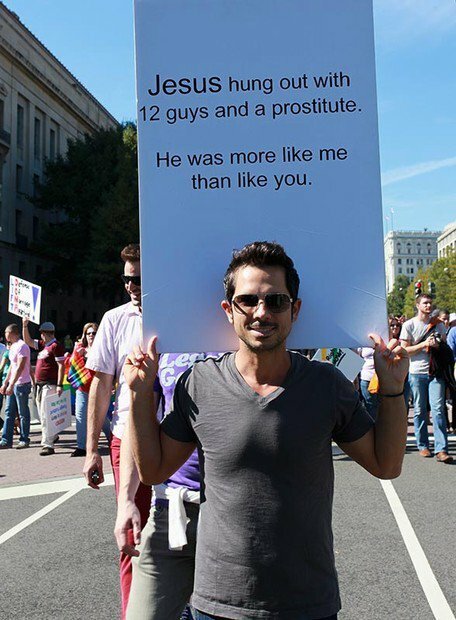 However, it really disturbs me that a parent could not or would not accept their son or daughter for who they are. I’m sure there are some people who know if Whitney and Robyn had more than a professional relationship. But, who’s to say what would have become of Whitney if she were a lesbian or bisexual. If she and Robyn had become an open couple, she might not have ever dated and married Bobby Brown and she may not have gone down the road of destruction with drugs. But, then again, she might have anyways. That’s all speculation. I’ve always found it very disheartening, and even more so now that I’m a dad, that there are parents who do not accept and love their children unconditionally if they knew or suspected that he or she were LGBT. I’m not sure if religion is the reason that Cissy would have found it upsetting if her daughter was gay or if there were other reasons. All I know is that my God, the one I pray to each night, loved Whitney for what she was, his child — straight, gay, or anything in between. 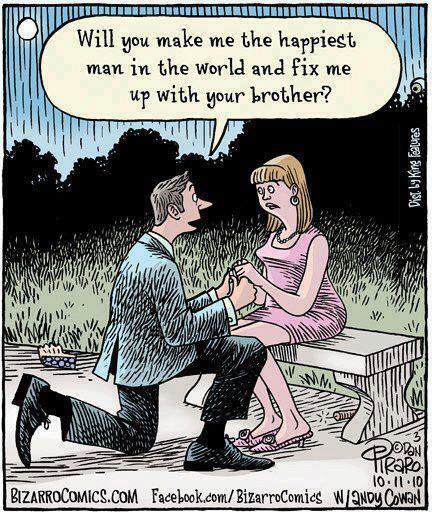 And, he’s happy to have her with him now. Excellence in school is rewarded with an “A”. In movie reviews, an “A”, four stars, or two thumbs up are the high marks. Lady Gaga’s “Born This Way Ball” concert Friday night was my third concert in Las Vegas following Elton John and Madonna last October. However, Mother Monster follows no one and when I was deciding how to rate the show, no grade or star system is needed. Simply, to quote Gaga when she screams “put your paws up”, this concert definitely gets two paws up! Hours later, 18-year-old French DJ Madeon came out and livened up the crowd with club beats. After his high energy set, there was a break and then it was time for Mother Monster! From the moment the lights went down and the crowd roared and rose to its feet, I knew it was going to be a fun night. And, when the curtains dropped to reveal the mammoth set, it became magical! While this was my third time seeing Lady Gaga, it was definitely my favorite show, too. And, that has nothing to do with the fact that we were just seven rows back on the left side of the stage! This is Gaga from our vantage point. And, Ray took this picture. For more than two hours, Lady Gaga gave every person in the MGM Grand Garden Arena their money’s worth with countless costume changes, personal stories of her struggles as a singer and piano player, and she dazzled them with incredible vocals, dancing, and showmanship. And, she wasn’t shy to why she’s an advocate for the LGBT community and how she was questioned early on in her career after “Just Dance” about her “gay” music. At one point, she also asked the crowd who had to work the next day. To those that clapped, she said that she didn’t give a F-word because she had to work the next day, too, and that we were all there to party! During the second version of “Born This Way”, the piano version, Lady Gaga made a phone call to a fan in the audience. It turned out to be a 17-year-old girl who was there celebrating her birthday with her girlfriend. It was a very touching segment and by the end of Gaga’s stripped down version of her self-empowering hit, the girls were in tears. As much as I loved Madonna’s “MDNA” tour and concert that I saw in October (and I can’t wait for the DVD of the concert), Gaga’s “Born This Wall Ball” was definitely the best concert from both a vocal and theatricality standpoint that I’ve seen since Reba McEntire’s 1996 Fort Wayne, Indiana, concert back when Reba did the whole stage show with multiple sets and costume changes. In this show, Lady Gaga was very touching and very sincere. While the talking points may in every show across the country, you definitely got the sense that Gaga believes the gospel of love and acceptance that she preaches. And, she was having a great time. She wasn’t just going through the motion. Lady Gaga proves you can be one of the biggest international superstars and you can also be human! I thank Stephani Joanne Angelina Germanotta and the entertainment gods for giving birth to Lady Gaga! Yes, I’m a “little monster” and I was “Born That Way”! This might be a little shaky, but Gaga told me to jump and I did! As you know, we’re still in Las Vegas. I had promised to blog about the Lady Gaga concert Friday night. 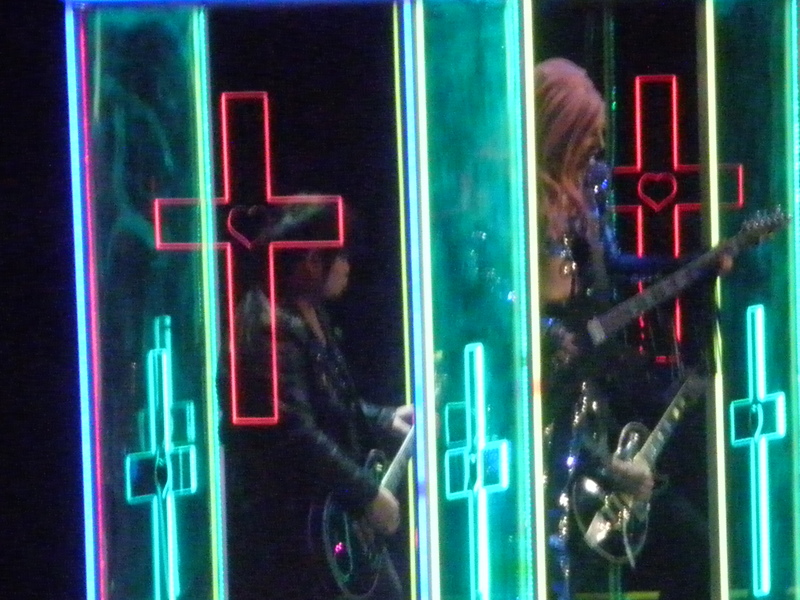 However, because I want to add some video of my “Born This Way Ball” experience, it will now be on Tuesday once I get back to the Quad Cities. Let me just say that it was amazing. Here’s one photo to whet your appetite. Seven rows from Lady Gaga! The resort that we stayed at Thursday, Friday, and Saturday night is off the strip, so we’ve gotten to do a lot of walking. As a matter of fact, we walked more than 16 miles on Friday. That is not a typo! Needless to say, I don’t think we’ve gained any weight while here even with buffets. The reason is that we’ve limited our meals and buffets to one a day. On Thursday, we ate lunch at Palace Station. It’s located off the Strip and is a favorite for locals. It was very cheap and you pretty much got what you paid for. While not great and not bad, it served the purpose of a quick-lunch once we got situated in our room. We had one meal Friday for lunch and I’m talking about that today because it was fantastic. We also ate dinner at the Mirage Friday night at Cravings Buffet thanks to a buy one, get one free deal (with free unlimited wine) from Travelzoo. Today, we’re having our one meal, Sunday brunch at the Stratosphere with unlimited mimosa and champagne for only about $20 a person. We ate there for my birthday in October and it was probably the best brunch/buffet I’ve ever eaten. I hope it is today, as well. 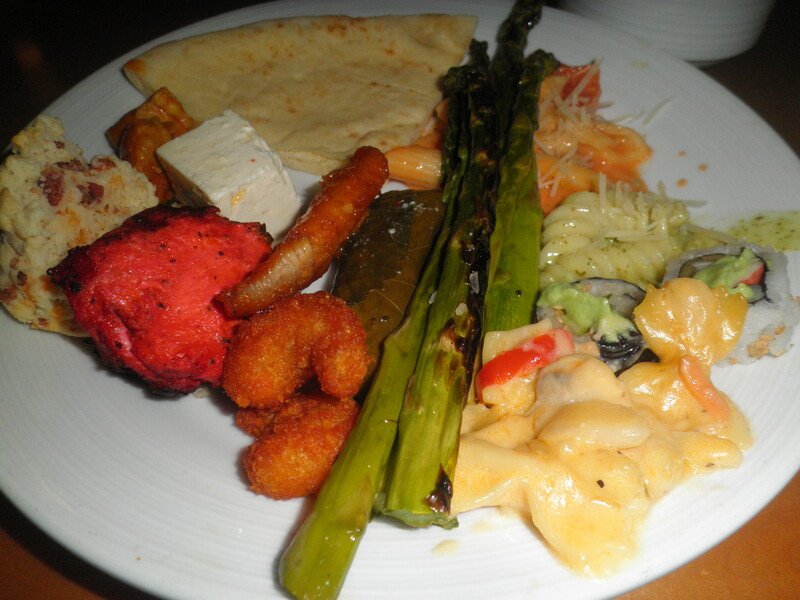 But, this is about the Spice Market Buffet in Planet Hollywood. 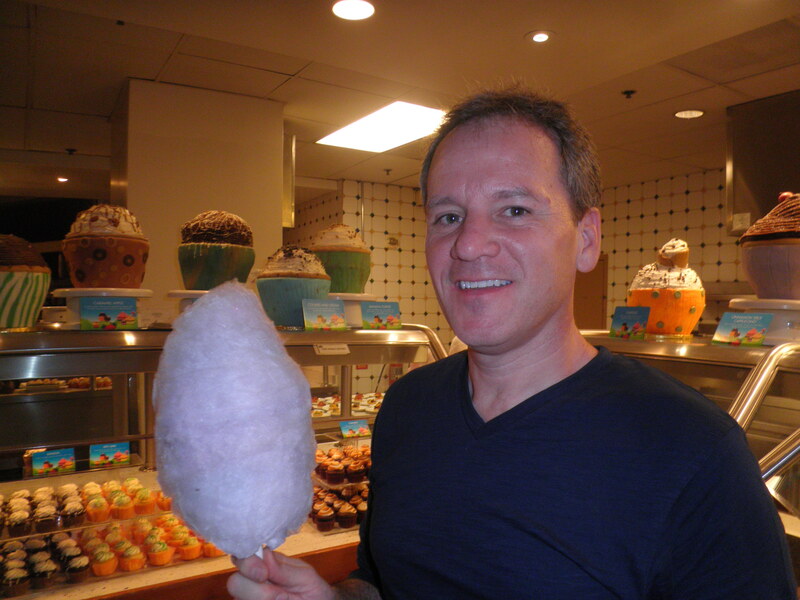 It was picked as one of the Top Ten buffets in Las Vegas and after having lunch there, I agree. I made a video of me walking from one end of the food section of this restaurant to the other that I’ll download and post when I get back to the Quad Cities. Let’s just say that it took me more than two minutes to record it. That is how many selections this place had. A picture would not do it justice since there were so many stations to choose from: several American presentations, Italian, Middle Eastern, Seafood, Mexican, salad bar, and many others. That’s one of my plates. Yes, I had more than two. But, I also just grab a bite of what I want to sample and if it’s exceptional, I’ll get more like that red-colored Mediterranean grilled chicken kabob. One of the best things we ate was a herb coated, boneless fried chicken! Now, I want to share the part that blew me away. The dessert station consisted of traditional fare like bread puddings and fruit tarts, but it’s the selection of cupcakes that pushed this dining experience to spectacular. 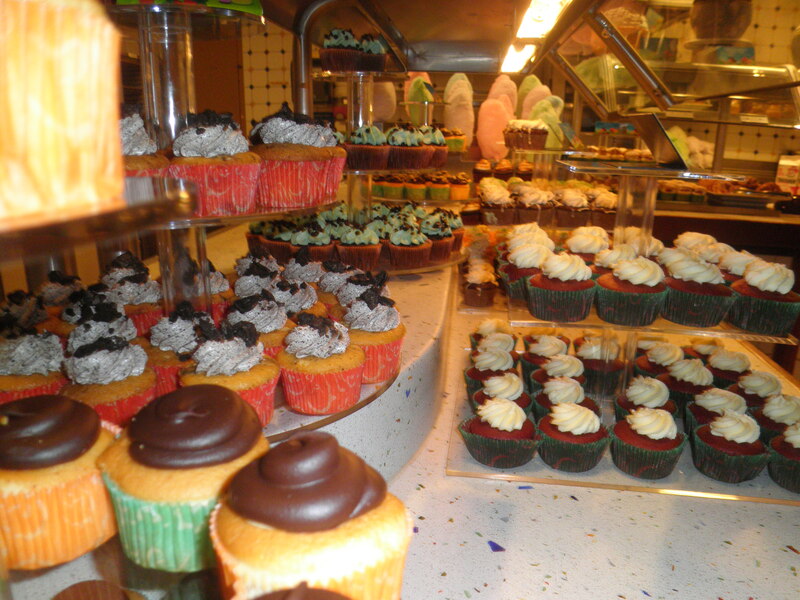 You didn’t have a couple of traditional flavors to choose from, you had rows and rows of cupcakes. 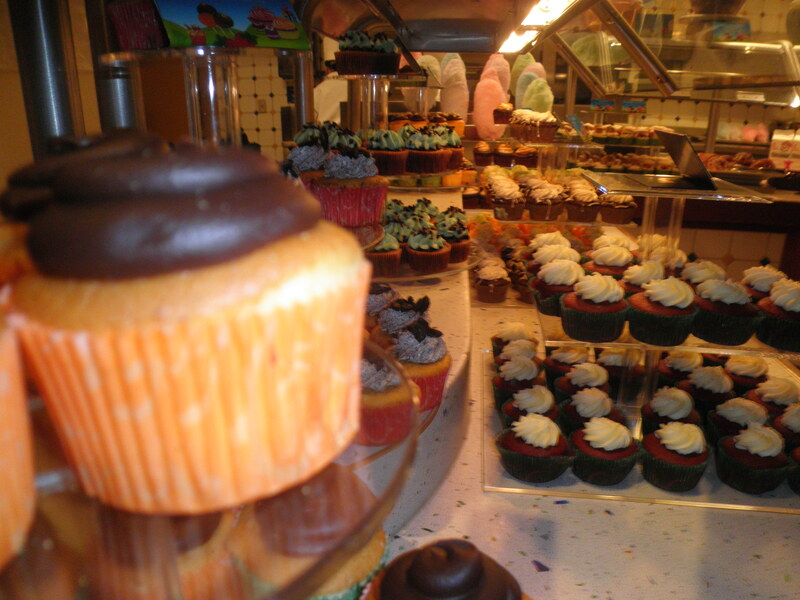 I can recall seeing pumpkin, caramel apple, red velvet, chocolate mousse, cannoli-flavored with a cannoli sticking out of the top, and banana just to name a few. 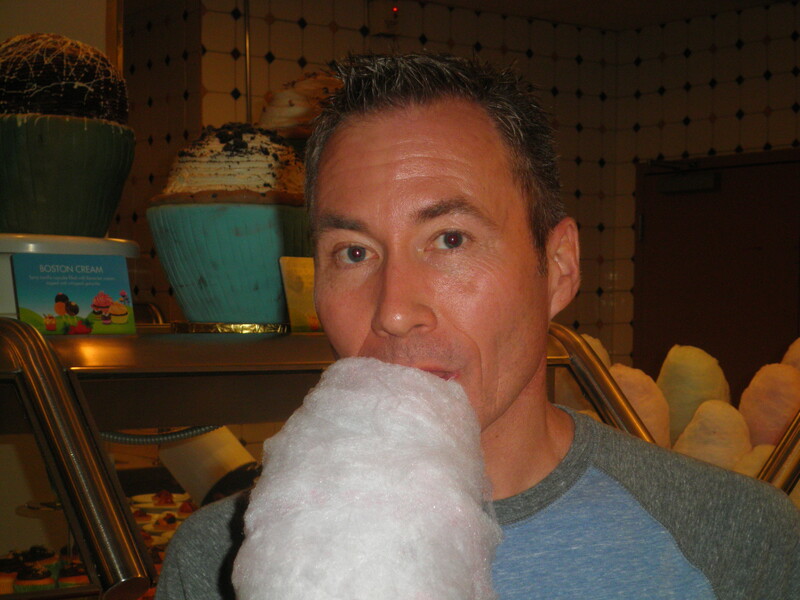 And, if that wasn’t enough to set the Spice Market Buffet apart from other Las Vegas buffets, you could top off your dining experience with cotton candy! 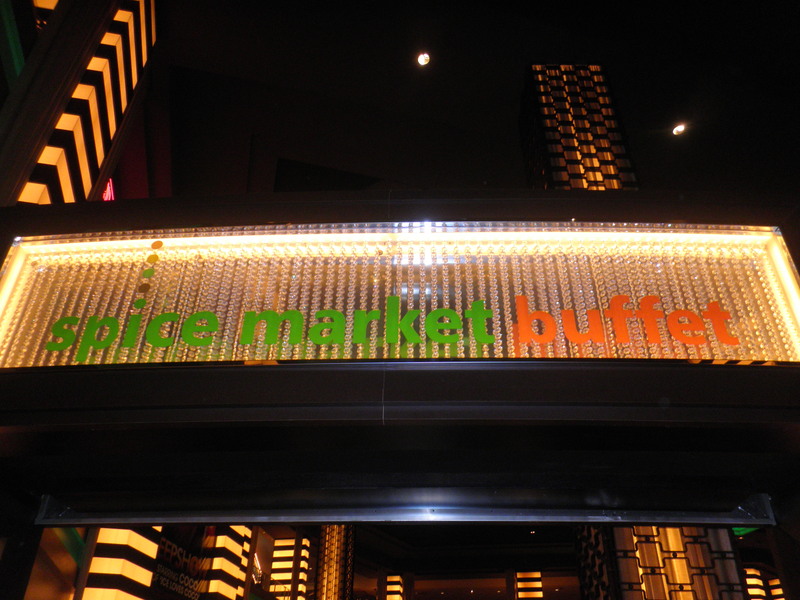 I’m sure there are many other great buffets in Las Vegas that I haven’t tried yet. I know the next time we come, we’re buying the 24-hour buffet cards that certain hotels offer where you can try different casinos and hotel buffets all in one day. My plan is to have dinner at one place, breakfast at another the next day, and then stop by the Spice Market Buffet for lunch just to eat desserts. Yes, I want my cupcake and eat it, too. Friends, be careful! We’re under a “Freezing Rain Advisory”. The icing is happening now. Watch your thermometer or the temperature and remember that although it’s 27-32 degrees now that it will climb above freezing this afternoon and tonight. However, surfaces are a few degrees colder. So, the ice will be slower to melt. Slow down today or stay inside! “What happens in Vegas stays in Vegas” may be a cool motto, but it’s not necessarily true. Granted, I may not tell you everything that we witness here, there are a couple of things I will share with you. Remember Thursday when we arrived and I said it was raining. The disturbance that caused that rain here will be bringing rain to Illinois and Iowa Sunday. And with the cold temperatures in place, this will be a wintry mix that could bring a coating of ice to the Mississippi and Illinois Valleys Sunday! The National Weather Service office in the Quad Cities has issued a “Winter Storm Watch” for Sunday morning through Sunday night for the counties shaded in blue, which is all of eastern Iowa and northern Illinois. If you’re traveling to Chicago, they are included in this, too. Where you see the purple, that is a “Freezing Rain Advisory” for the Galesburg area. By 6 a.m. Sunday, moisture will moving into our area. With warmer air aloft from the Plains storm, this means there will be sleet and rain developing Sunday morning. The sleet shouldn’t be a problem because with warmer air in the clouds, most of what falls will melt right above the surface and be liquid when it falls to the ground. However, since surface temperatures will be cold, in the 20s, it will freeze on contact giving us ice. Here’s the bottom line: this could be a dangerous winter storm with the ice. 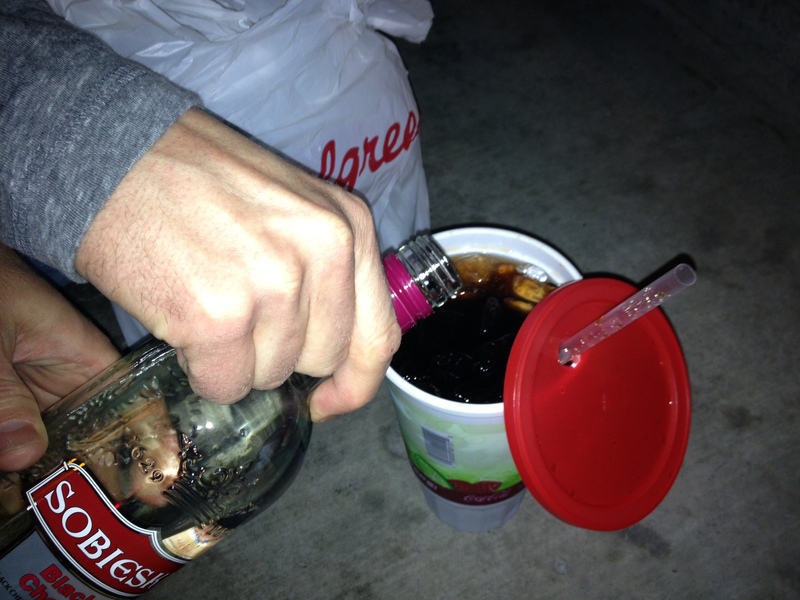 Today, I would prepare for this. However, this is not set in stone. Since temperatures will be in the 30s Sunday, the difference of 30 degrees and 35 degrees when the heaviest rain/freezing rain starts falling will be the difference between a large accumulation of ice that could bring down tree limbs and power lines (30 degrees) and just a cold, rainy day with just a little ice (mid-30 highs). If anything major changes one way or the other, I’ll let you know. Now, I’m ready to start my day in Vegas. One last thing, it started raining last night here during the Lady Gaga concert and it’s still raining this morning. This storm will be in the Quad Cities Monday night and Tuesday (yes, I’m bringing it home with me), but the good news is that it’ll be much warmer (maybe close to 50 degrees Tuesday), so it will all be in the form of rain and not ice or snow. Happy Friday everyone. I hope it’s a little warmer for you as you start your day and kick off your weekend. We made it safely to Las Vegas yesterday. Tonight looks rainy in Vegas, but it’s going to be mild today with highs 60-65°. Here are my random thoughts for this Friday. After getting situated in our room yesterday, we went and had a quick, cheap lunch buffet at the Palace Station and put some money in the slot machines. I left $21 behind and Ray walked out with $45. After a brief visit to the sauna, we walked to the strip. We tried our luck again on the slots, I only lost $8 that time and Ray lost $30. In the first show to kick of the North American leg of “BTWBT”, she did have a wardrobe malfunction when her latex pants split in the back. But, like a true professional, she kept right on performing. 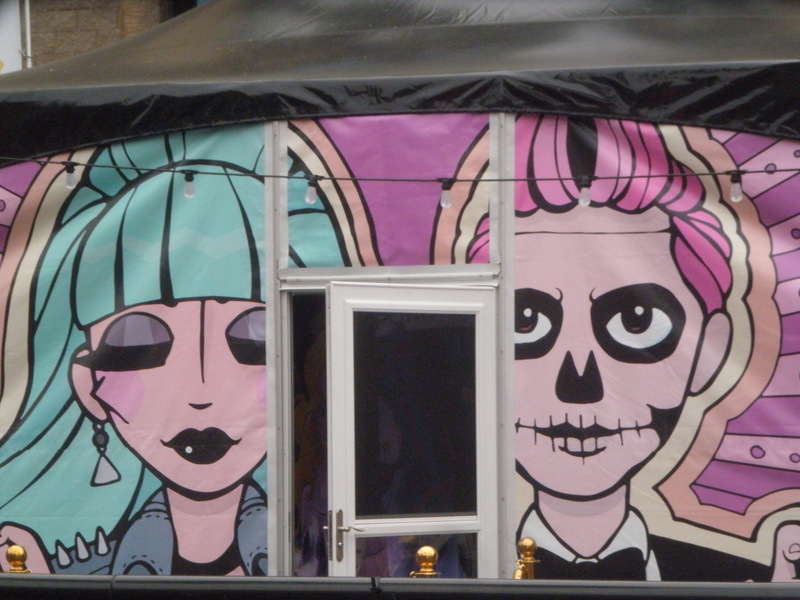 Seriously, it’s Lady Gaga. She’s used to wearing less than that, so this was nothing! While the official high this past Monday was 13° in the Quad Cities, that was deceiving. That was the midnight temperature as the day started. Temperature continued to drop and for most of the daytime hours, temperatures in the metro area ranged from 3° to 8°. The overnight low dropped to -1°. BRRRRR! Before that, this winter has been relatively warm. December 2012 saw temperatures that were 5.9° above average and thanks to highs in the 50s three days in January 2013 (11th, 12th, and 19th), as of this past Monday, temperatures in the Quad Cities were running 3.3° above average. 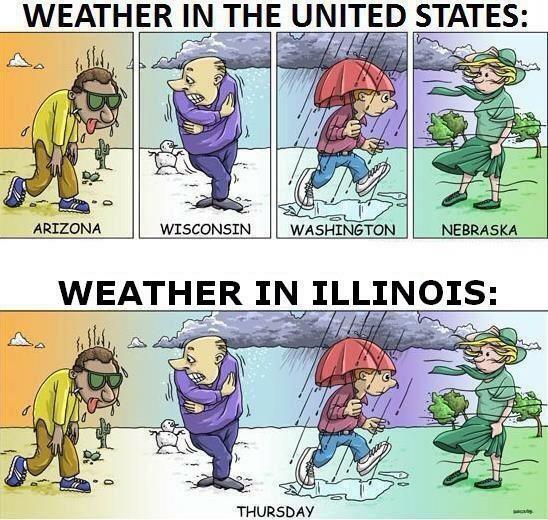 Obviously, that’s changed with the bitter cold early this week. 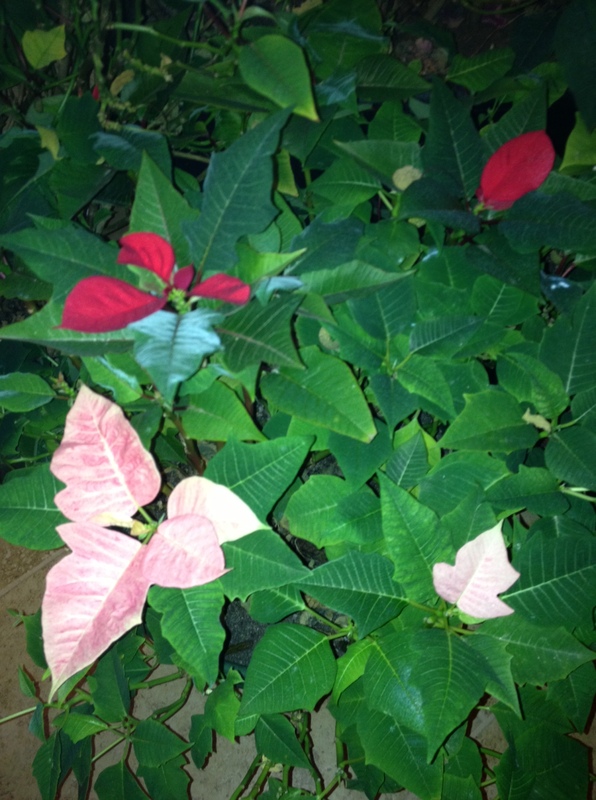 Nevertheless, the wacky warm weather of 2012 really has my poinsettias confused. I didn’t think they were going to turn colors. However, this week, they began popping with color. I don’t have the heart to tell them that they were late for Christmas! While I still have an undetermined wait for new releases from Britney, Gaga, Janet, and Cher, one of my favorite singers is now racing up the adult contemporary charts with his latest hit, “Brave”. 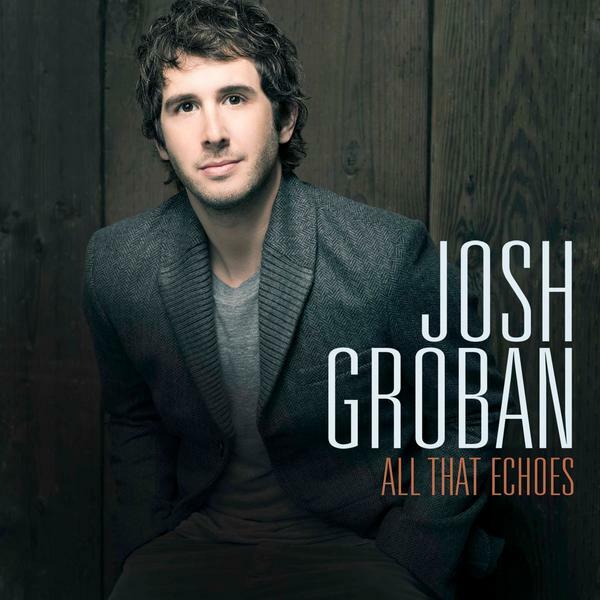 That is the lead off single from Josh Groban’s new album, “All That Echoes”, that comes out February 5, 2013. 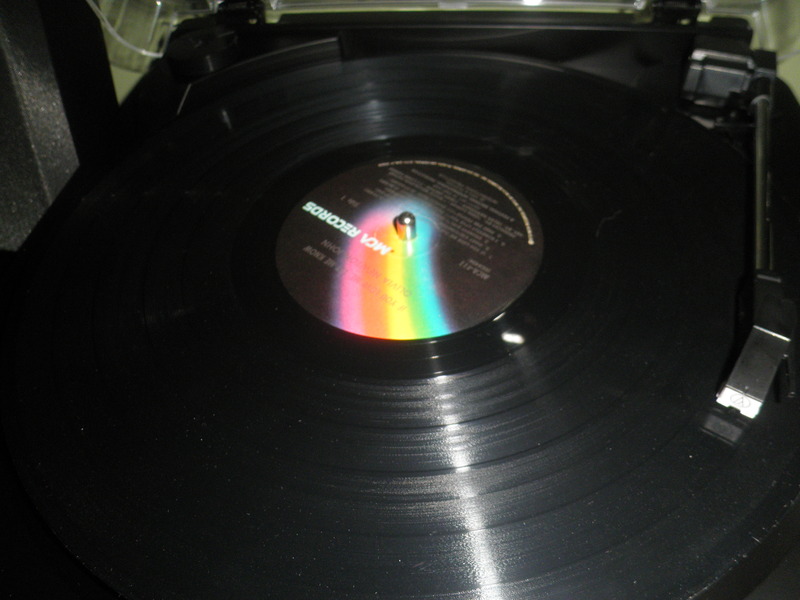 This Christmas, Ray and Tammy bought me a stereo system with a record player. While I posted pictures opening it in my Facebook Christmas photo album, that one was defective and it was returned. They then bought me just a turntable and we hooked it up with our sound system and it sounds great. 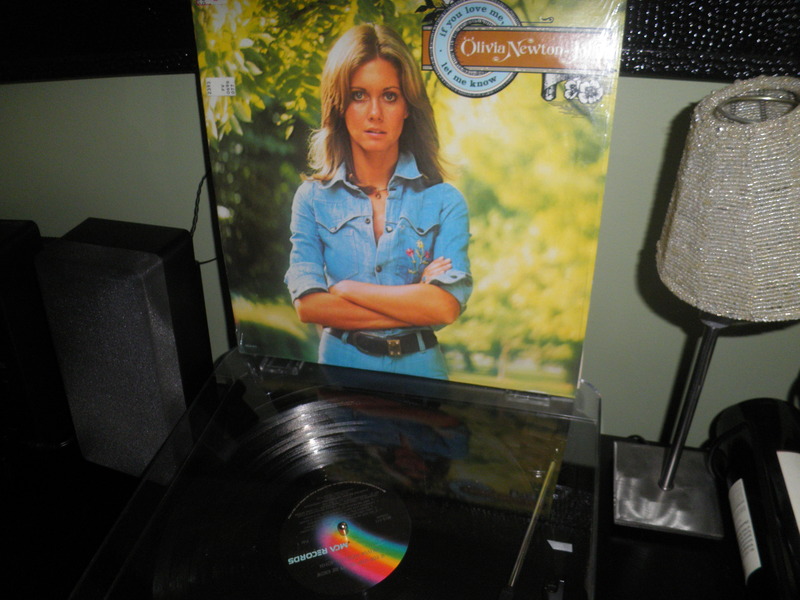 My sister bought me 1974’s “If You Love Me, Let Me Know” by Olivia Newton-John from Goodwill and it sounds great. DON’T GET ME WRONG, I STILL LOVE REBA! Last spring (May 5), I blogged about Reba McEntire’s return to television for the fall of 2012. You can type in “Malibu Country” in the blog search engine to find the original blog. Reba said there were many more stories to tell from her “Reba” show that ran on the CW from 2001-2007. I didn’t realize that except for my favorite singer of all time belting out a few songs, that “Malibu Country” would pretty much be a rehash of the old show. Don’t get me wrong, there are some differences. Reba is trying to kick start her singing career, which was the point early in the series, but even that has not been touched on lately. Lily Tomlin, as Reba’s drinking and pot-smoking mother, is hilarious. Her rich neighbor, Kim, is just a different version of the dim-witted and much more hilarious, Barbara Jean (Melissa Peterman) from Reba. Reba’s daughter on “Malibu”, June, is just a watered-down version of the much funnier and more sarcastic, Kyra (Scarlett Pomers), from the original show. And, now we have Cash, Reba’s son, a cute, but intelligence-challenged teenager. He is just another version of Van (Steve Howey) from “Reba”. After watching the first ten episodes, only a few have made me laugh. The pilot, which was viewed by 9.1 million people, was very funny, and the Christmas episode was very enjoyable. However, most of them just make me miss the original “Reba” series even more. Gretel loves the “Reba” series and she watches them regularly and I still laugh. You can’t beat the chemistry between Reba, Barbara Jean, and Cheyenne (Joanna Garcia Swisher). Some of my favorite episodes are “Van’s Agent” (when Van lies about Reba being a lesbian to get a football contract), “Driving Miss Kyra” (when she gets her driver’s license and Cheyenne does karoke), and “The Two Girl Theory” (Reba hits the dating scene with Barbara Jean and becomes a “slutty friend” and “some old tramp”, according to Brock’s bartender friend) to name a few. I’m not giving up on “Malibu Country” yet, but I’m not really enjoying it. The only reason I’m still there is because I love Reba and Cash (Justin Prentice) is easy on the eyes. 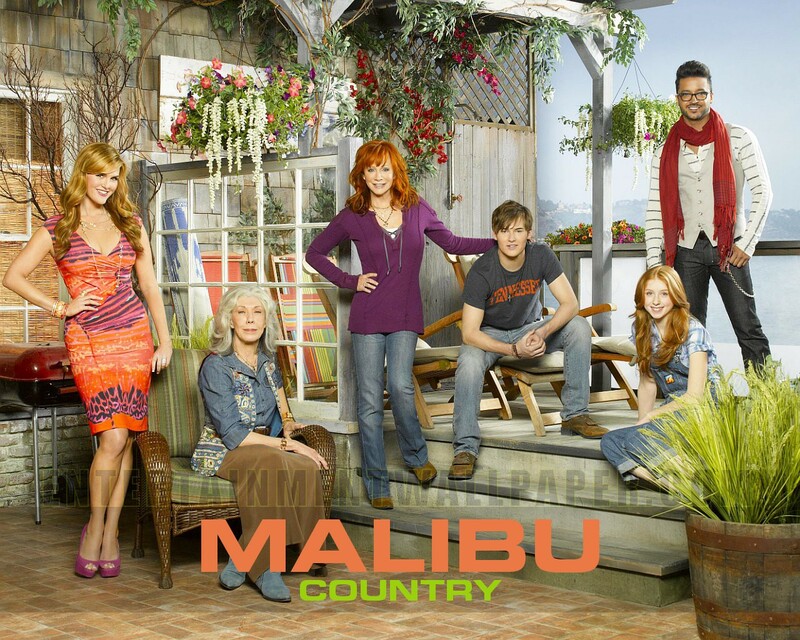 To close on a positive note, ABC reports that “Malibu Country” is the highest rated new comedy of the 2012 fall season with an average rating of 8.7 million viewers. 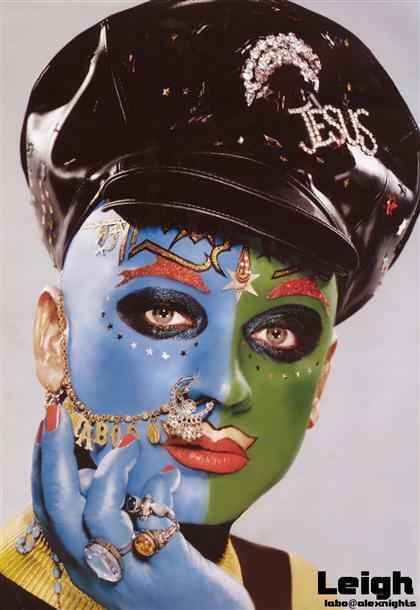 Boy George was chosen as one of “Out” magazine’s “The One Hundred Most Compelling People of The Year” 2012. The trailblazer who has had his fair share of bad press with drugs, arrests, and recovery is still a role model for a large number of people from the 1980s (including me) and in the 30 years since he sashayed onto the music scene in 1982 with “Do You Really Want To Hurt Me”. Boy George led Culture Club to the top ten six times with their first six singles in the U.S. They did have four more top 40 songs. Their last chart hit, “Move Away”, reached #12 in 1986. The group only had one #1 hit, “Karma Chameleon” in 1983. “Do You Really Want to Hurt Me”, which reached #2 in 1982, kicked off their career in America. “The War Song” reached #1 in Ireland and #2 in the U.K., Australia, and Canada, in 1984, but it stalled out at #17 in the U.S. Boy George looked fantabulous in the red, curly wig! No, I didn’t have to bail Miss ABBA out of the jail in this picture from January 20, 2012. 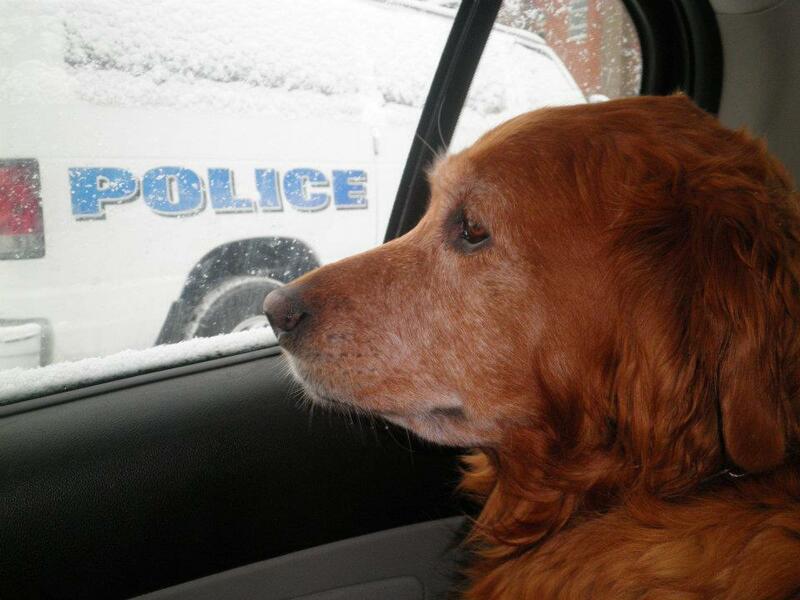 And, she wasn’t joining the Moline Police Department’s K-9 unit. 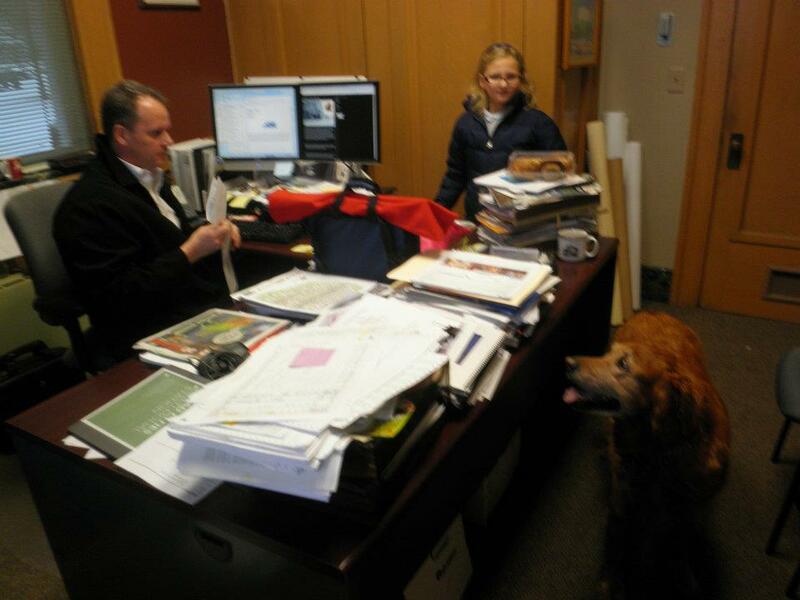 We had just picked Gretel up from school and visited Daddy Ray’s office at City Hall. 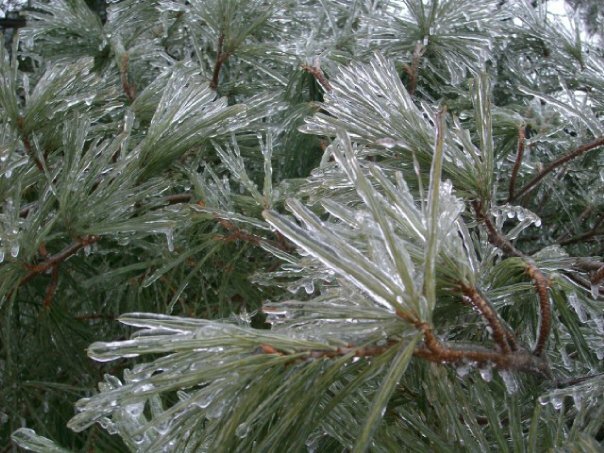 And, these two pictures are compliments of an ice storm on January 20, 2010, from more than one-half inch of cold rain falling and freezing on cold surfaces. It sounds like you may be getting some icing in the Quad Cities Sunday! Have a great weekend! Viva Las Vegas!